Stella Artois joined a noble cause and changed its logo color to make the problem visible. The question was: how to bring awareness to the consumers at the point of sale? 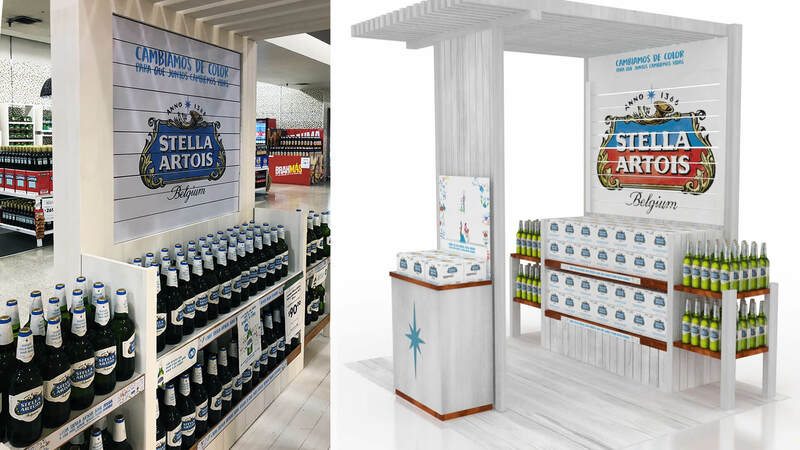 Stella Artois trade activation. 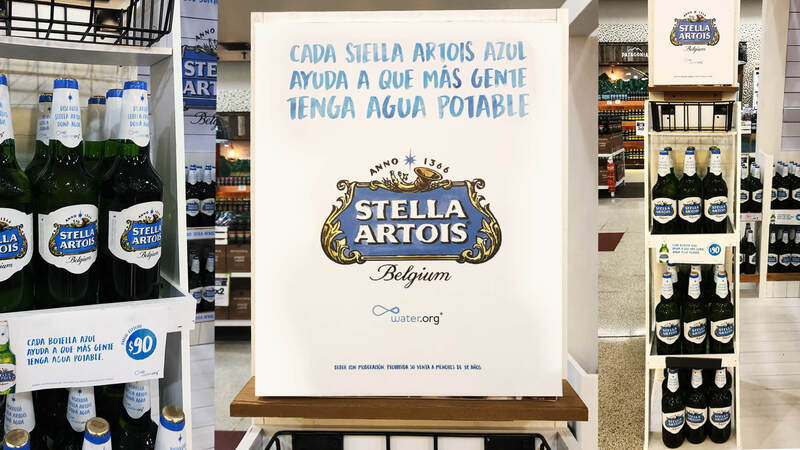 Once again, Stella Artois joined Water.Org in order to help people to have access to drinking water. 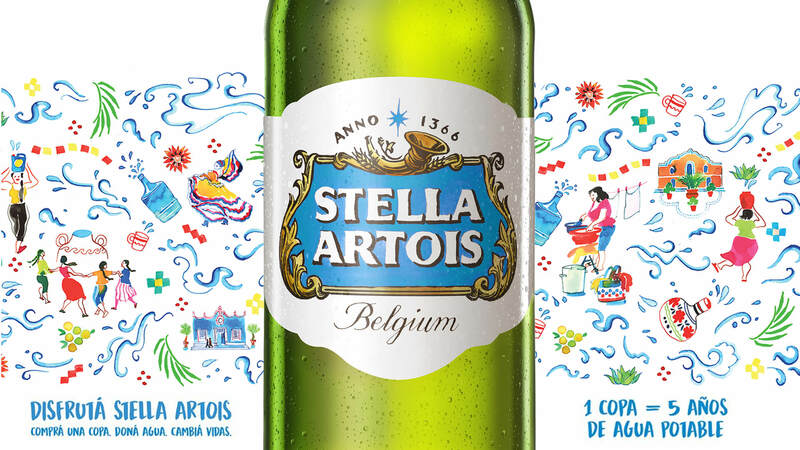 They changed their red characteristic logo to blue for this mission, and those buying blue-labeled Stella Artois will help to end global water crisis, which is actually affecting 844 million people around the world. For this project, Stella Artois asked Bridger Conway for the trade materials. For the Off Trade, a big supermarket exhibitor with an electronic board explaining the logo-color change was developed. Also, a sign reflected the more blue-labeled Stella Artois people bought, the larger the number of people helped. In addition, soft materials were also produced: signs, posters and shelf stripes where also carried out. Stella Artois flagship restaurants and bars had an artistic installation: a continuous water filled bucket with a message raising awareness was placed. The campaign was not only limited to the points of sale. 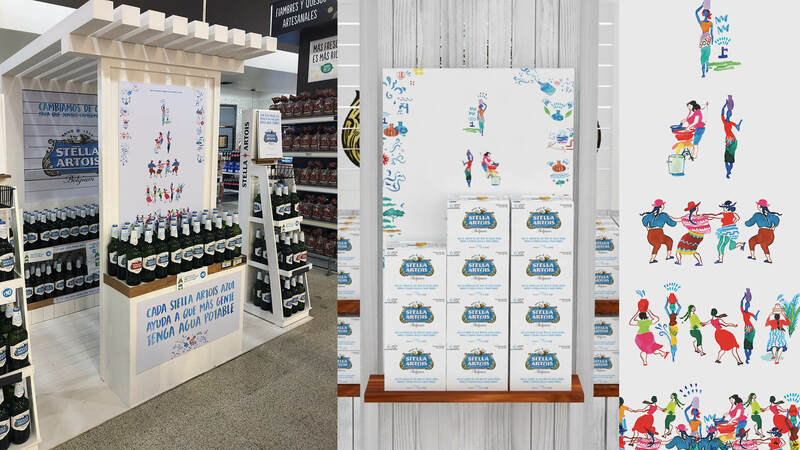 The brand also brought to life an activation with celebrities, influencers and media from all over the country, which challenged them to change to blue for a while.